- Free printer management software to make ordering toner or fixing your printer as easy as clicking a button. Plus many other valuable features. The CPT rate is what the toner will cost to print 1000 pages on the printer purchased. Every printer series uses a specific toner cartridge and it is the toner cartridge that determines the CPT rate. The most common error made when buying a printer is to look at the price of the printer without considering the CPT rate of the toner that it will use. CPT rates for black toner range from $10 to $52 per 1000 pages. So choosing the wrong printer can increase your costs by over 400%. Since the total cost to print is equal the (CPT rate x the Print Volume) divided by 1000, estimating the annual Print Volume is very important. Usually, the more expensive the printer, the lower the CPT rate is. So the question is, should you spend more on the printer initially to save on the toner costs for many years to come? Here is a formula to determine if a printer upgrade is worthwhile. If Printer Upgrade Cost / Savings is less than 1.5, then the printer should be upgraded. This implies that the Printer Upgrade Cost will be recovered with toner savings in under 1.5 years. CPT is very easy to calculate. Once the CPT rate for a printer is established then tracking the achieved yield per cartridge and the rate of use is going to provide the biggest savings opportunity. Speed and colour is the perfect pair for your business. That’s why this energy-efficient printer and Original HP Toner cartridges with JetIntelligence combine to produce vibrant, professional-quality documents right when employees need them. - Grab pages and go. This printer wakes up fast and prints your first page faster—as quickly as 9 seconds (A4). 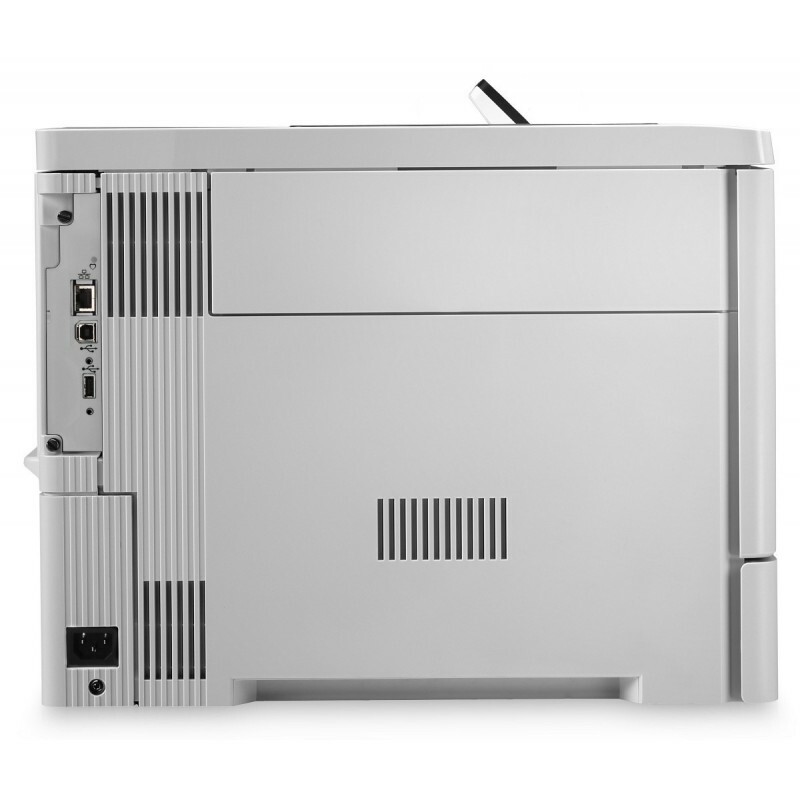 - This printer uses exceptionally low amounts of energy—thanks to smart media-sensing and toner technology. - Manage jobs and settings quickly with the 4-line colour display and use the 10-key pad for PIN printing. - Consistently print high-quality documents across a variety of media—including A5—with automatic media sensing. - Easily develop and deploy HP and third-party solutions. Choose the optional 1 GB memory upgrade. - Get optional wireless direct printing. Send prints from mobile devices—without accessing the network. 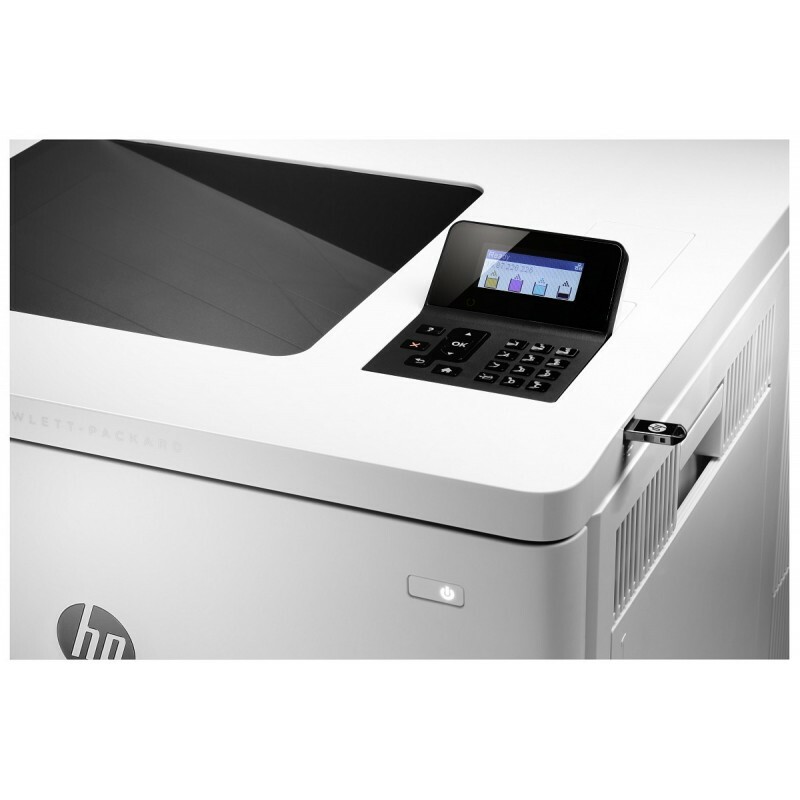 - Add the option to print with a touch of your NFC-enable mobile device to this printer—no network needed. - Original HP Toner cartridges with JetIntelligence deliver more pages per cartridge than predecessors. 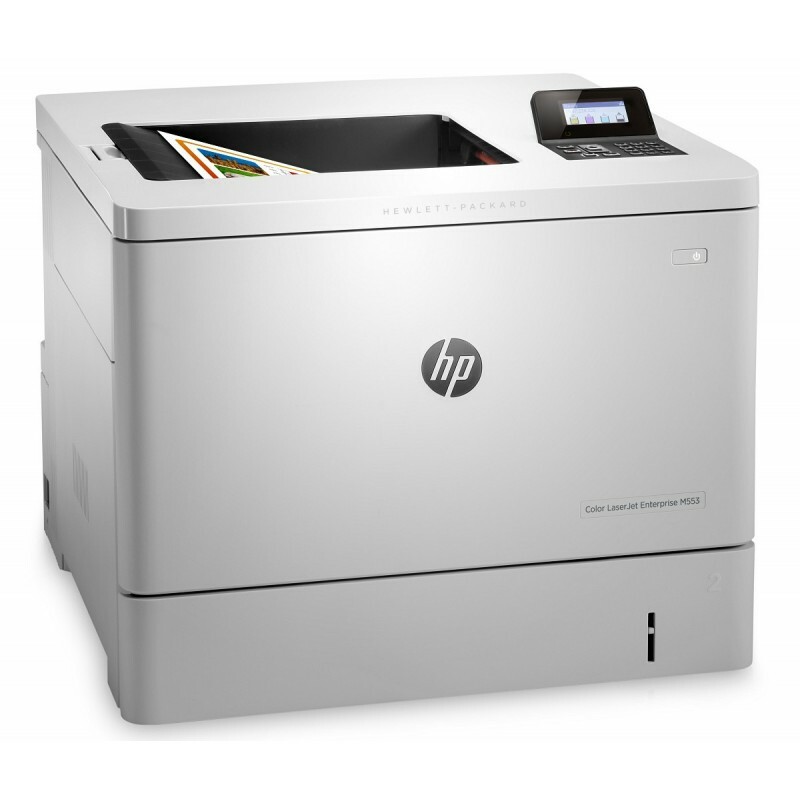 - Count on professional quality at fast speeds—high-performance toner works best with your HP printer. - Help ensure the authentic HP quality you paid for with anti-fraud and cartridge authentication technology. 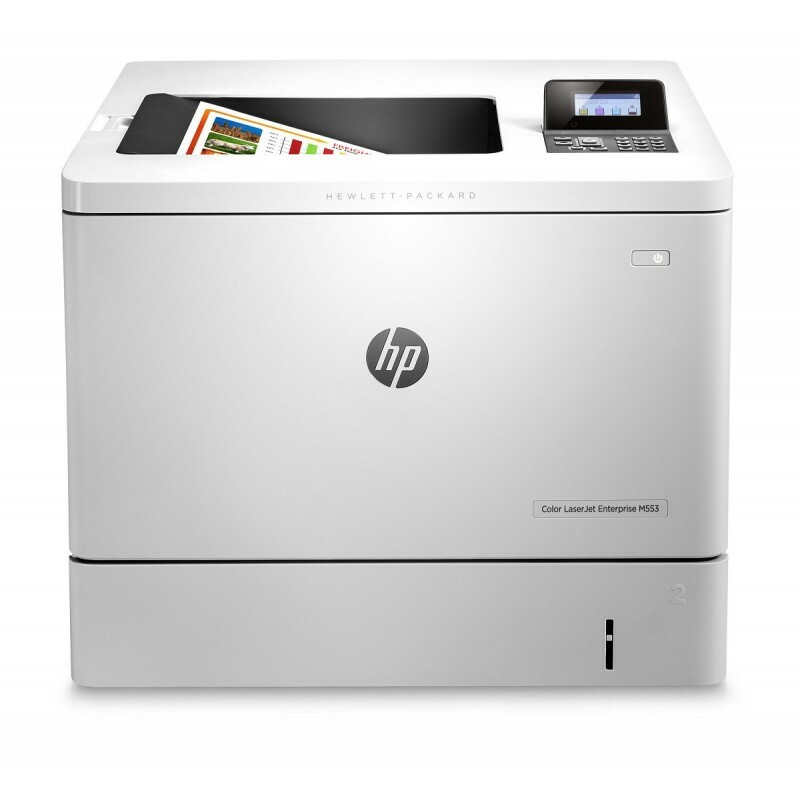 - Print right away with preinstalled cartridges. Replace them with optional high-yield cartridges.